In 1976, a research group was established at Gifric for the psychoanalytic clinic of psychosis. There, we confronted biological psychiatry, including neurobiology and psychopharmacology, with the theses of psychoanalysis so as to situate the two problematics in a clinical perspective. Very quickly, the technical and theoretical problems posed by the application of psychoanalytic treatment to psychosis became a concern of the group. What can psychoanalysis do for psychotics? Is it possible to psychoanalyze psychotics? Can a psychotic be an analysand? Of course, psychoanalysts interested in psychosis generally work in a psychiatric institution where the psychoanalyst only passes through. Typically, the hospital is not fundamentally a place for treatment; rather, it is a place where medical care is administered to a patient. Can we bring the psychotic out of the frame of medical care and instead offer him a treatment center where he can become the subject of his speech, a citzen responsible for his health? For their parts, Freud and Lacan left us nothing on the problematics of the psychoanalytic treatment of psychosis. Moreover, while the psychoanalysts who came after them gave us particular information that helps us understand psychosis, they did not give us guidelines for an effective treatment. All of these questions have greatly concerned our research group, which has devoted to them many meetings and a great deal of research for many years. Since Gifric created the psychoanalytic treatment center for young adult psychotics in 1982, the group has committed itself to the systematic computerization of treatment data concerning the approximately three hundred people who have had an admission interview. This data spans the 28 years of the Center’s functioning, and it concerns the principal aspects of the lives of the patients at the Center as well as all of those invested in the patients’ treatment and clinical progress. This data and the analysis of this data periodically are topics for scientific communications and publications. Our teaching related to this subject frequently incorporates this rich source of information. The psychotics who ask to be treated at the Center know from the start about the stakes of analysis that will be at the heart of their treatment. Through the course of the admission interview, two points will be clarified: 1) Are we meeting with a psychotic?, and 2) What is he or she asking for? The identification of the position of the subject within the structure and the identification of the location of the elements of psychotic experience in the discourse of the subject both will be considered separately from the symptomatic phenomenology. Additionally, this consideration will occur without reference to the patient’s previous files, that is, without reference to past discourse about the patient. From the beginning, what is taken into account is the discourse of the subject regarding that which he identifies as his problem. 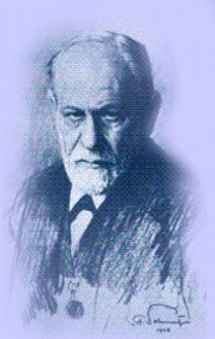 From the beginning of treatment, the subject will be enrolled in a program of daily activities arranged with his collaboration in order to establish a minimal symbolic framework that makes psychoanalytic treatment possible. Through the transference, the spontaneous work of the psychotic and the delusion are constrained through a new social link between the psychotic and the psychoanalyst’s desire for savoir (knowledge from the unconscious). Progressively, the dream that responds to the desire of the analyst will provide the signifiers that will allow a breaking apart of the certitude of the delusion, thus introducing the subject to a new logic: that of the signifier. From there, the psychotic will work for the production of a new savoir that contrasts with the logic of the delusion. This savoir will come to enter into a new social link where his subjective history will be articulated. A logic specific to the treatment of the psychotic thus appears, and it affirms the original wager that consisted of giving full value to the speech of the psychotic subject.